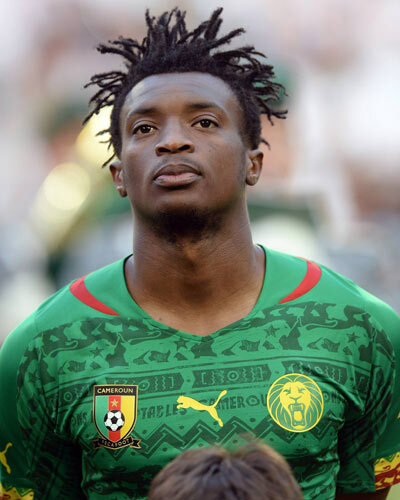 Premier League club West Bromwich Albion have expressed an interest in signing Cameroonian striker Benjamin Moukandjo from French Ligue 1 side Lorient, according to the Daily Mail. The Baggies are likely to lose Saido Berahino to a Premier League rival (likely Stoke City) in the European summer, sparking a need to sign a replacement goal-getter. To that end, West Brom have targeted 27-year-old Moukandjo, who impressed for Lorient last season by netting 13 goals in Ligue 1. The Douala-born player has also featured for the likes of Nimes, Monaco, Nancy and Reims in his senior club career. Moukandjo is reportedly also a target for Sunderland and his transfer fee is expected to be somewhere in the region of £10million.